NBC Sports in Stamford, Conn., on Wednesday, July 10, 2013. Dozens of stars of the World Cup will return this weekend to their day jobs in England, and a Stamford-based broadcaster will chronicle their exploits in their club teams’ colors. The English Premier League’s 2018-19 season kicks off Friday with a matchup between last season’s runner-up, Manchester United, and 2016 champion Leicester City. Entering their sixth season carrying the league’s matches, NBC Sports Group officials said they want to capitalize on the interest in the World Cup and soccer’s growing stateside popularity to increase their audience and improve their programming. American viewers will have plenty of opportunities to watch the Premier League players who represented their countries during the World Cup in Russia: NBC Sports plans to carry every game of the first two months of the season. Last season’s NBC Sports broadcast lineup will team up again for the new campaign. Rebecca Lowe anchors the shows, while former Premier League players Robbie Earle and Robbie Mustoe and former U.S. international and Major League Soccer player Kyle Martino serve as analysts. For the second straight year, the announcing team will work on location during the opening weekend, with coverage from the stadiums of Manchester United, Wolverhampton Wanderers and London-based Arsenal. 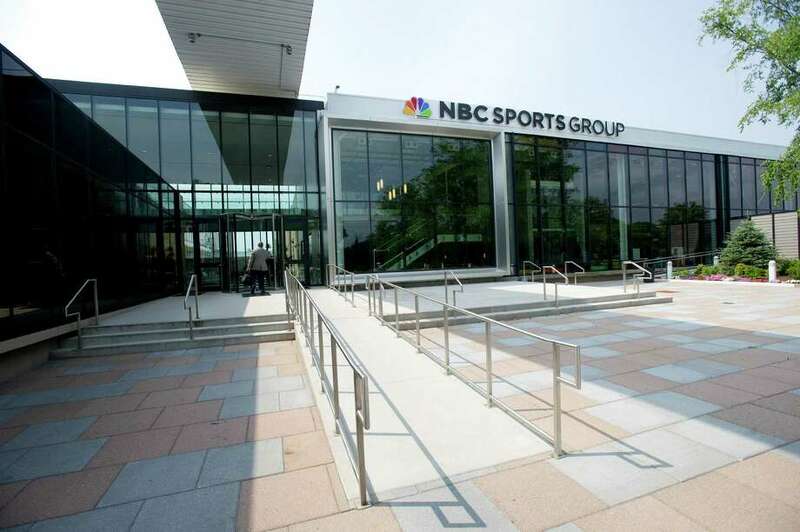 In Stamford, approximately 60 work on each match day at NBC Sports’ headquarters at 1 Blachley Road on the city’s East Side. NBC Sports is not planning any sweeping changes to its coverage this season, but Moossa said the organization wants to better tailor the programming to the American audience. In a related move, NBC Sports hosted last November in lower Manhattan its first Premier League fan festival, which drew a crowd of several hundred. Across southwestern Connecticut, many restaurants and bars carry the games. Tigin Irish Pub, at 175 Bedford St., in downtown Stamford, uses Apple TV to show all the matches on NBC Sports’ NBCSN cable channel and subscription-based Gold digital service. NBC Sports’ coverage of the 2017-18 season reached a record 39.3 million viewers, up 14 percent from the previous season, according to data-analytics firm Nielsen Co. In the most-watched contest of last season, about 1.72 million across all platforms saw Manchester United’s 3-2 defeat of Manchester City on April 7. On NBCSports.com and the NBC Sports app, a record 4 million unique viewers watched during the past season. They consumed 740 million live minutes, second-most all-time. “We can’t think of it just as a broadcast; we also have to consider digital and social media coverage to make it the best experience for the audience,” Moossa said. NBC Sports executives and sports-media experts see the Premier League’s relatively young viewership as a promising trend. Its 2016 median audience ran at 43 years old, compared with 57 for Major League Baseball, 50 for the NFL, 49 for the NHL and 42 for the NBA, according to a study commissioned by SportsBusiness Journal.